This refined piece is the ultimate in Nordic elegance. The large and low coffee table is an ultra-modern take on a tile top table, with four pieces of marble mounted into a slender, white metal frame. 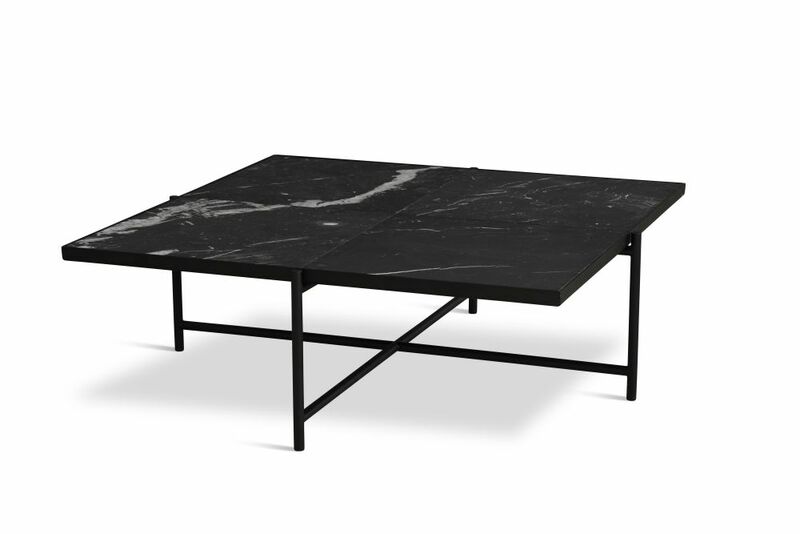 Made in Denmark, the natural variations and veins of the marble mean each table is unique. Maintenance: This HANDVÄRK marble top is honed or polished, but otherwise untreated. To maintain and protect this type of marble, you can use acid-free polish or white vaseline-oil. Aesthetic sustainability is key to all of our products.